Another quick share of an idea from the last few months! 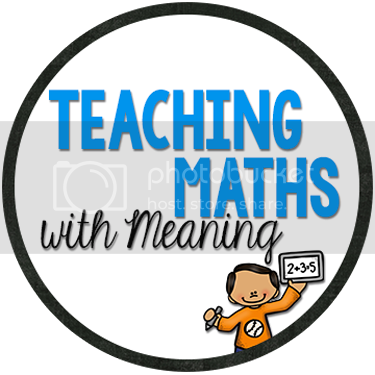 (I did get behind with my blogging, I will be much better during Term 2! A lot of our beginning of the year activities were to do with the children's names, learning each other's names and making new friends. Many of the children in my class had come from different kindergartens and didn't know each other - we have had a real focus on THEM! 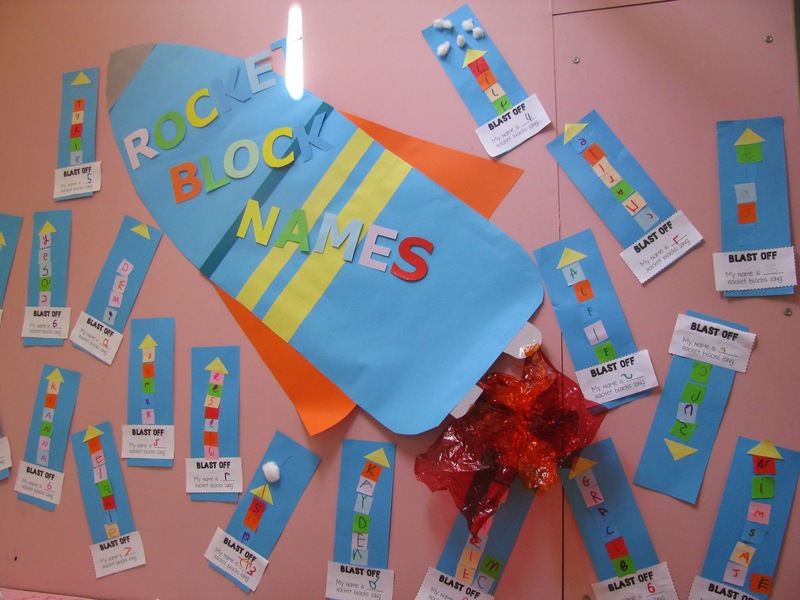 During R week, we made Rocket Block Names. First we graphed the number of letters in our name. 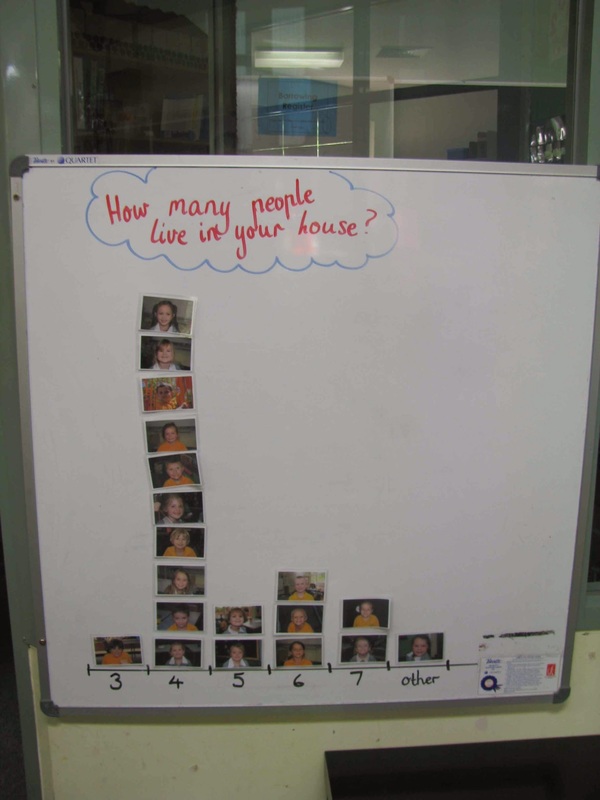 This is how I make graphs with younger children (this is not the right graph but you can get the idea). I have a picture of each student printed out, laminated and with a magnet on the back. 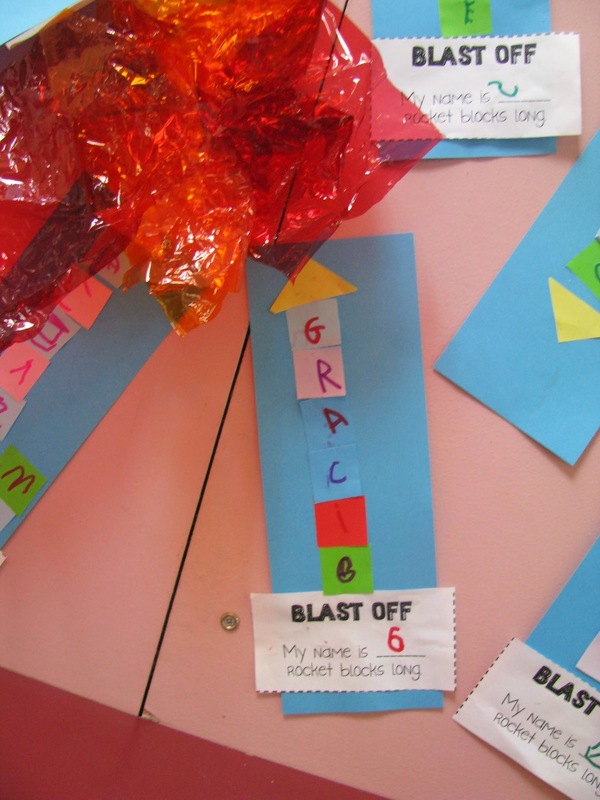 Then we wrote one letter on each piece of paper and made ourselves a rocket! They looked great in our classroom on display!